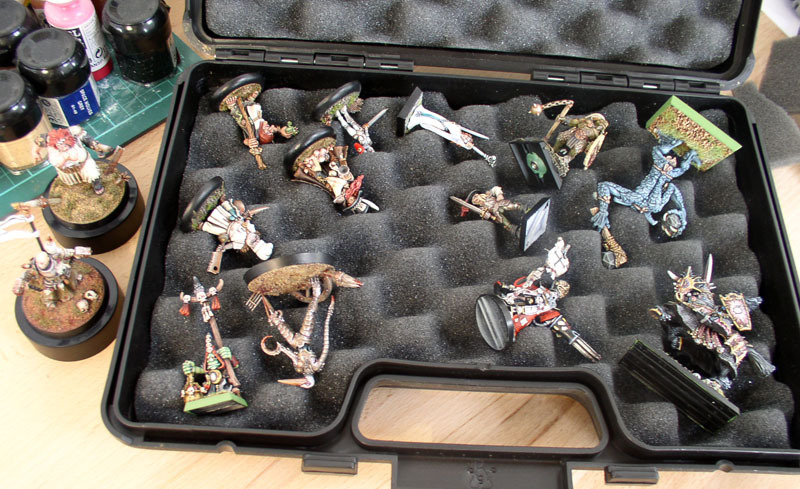 Packing up for Salute. I am traveling over to London on Friday, and the figurecase is about ready. I have packed a few old things as well as some more recent figures. Also, my "Golden Chef"-entry from last year painting competition by Black Scorpion miniatures. Trying to make room for Tyrion as well.